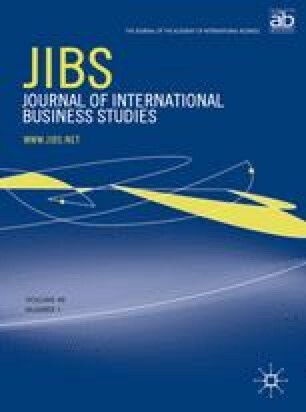 Despite growing evidence about differences in the attitudes and behaviors of consumers in emerging and developed markets, there is little research on the differences in country of origin (COO) effects on their evaluation, behavioral intentions (BIs), and actual purchase of imported products. This paper introduces a new conceptual framework incorporating consumer ethnocentrism (CET), materialism (MAT), and value consciousness (VC) to hypothesize several differences in the influence of COO effects on consumers from developed and emerging markets. A web-based study with 1752 consumers in four countries representing two developed markets (the UK and the USA) and two emerging markets (China and India) shows significant differences in the moderating influence of CET, MAT, and VC on the effects of COO on the evaluations and BIs for a fictitious passenger car brand, and on the actual choice of car brands owned by them. The findings highlight the importance of looking beyond CET at other relevant psychographic variables to understand the differences in motivations underlying consumer perceptions and behavior towards imported products. Accepted by Daniel Bello, Area Editor, 25 November 2009. This paper has been with the author for two revisions.